Finally Guardian launches it's e-store so people like us can shop online and save petrol money from going to the pharmacy. I was just browsing what special stuffs they have on the e-store when my eyes went from men's shaver to Hada Labo in an instant. It's because of the photograph of a set of items along with the word less 10%. Already the festive hamper is at a discounted rate of RM119 for 5 actual size products NO KIDDING and they gave it another 10% off! OH WOW! Seriously, I haven't been using Hada Labo for a while but this set just screams must buy. I love Hada Labo, the whole concept and they were the ones who taught me about Hyaluronic Acid and it's benefits to our skin. The thing about Japanese skincare is, it's just lovely the birth of a brand and it's philosophy. Anyway this set alone is a major steal. It's like over 50% off! 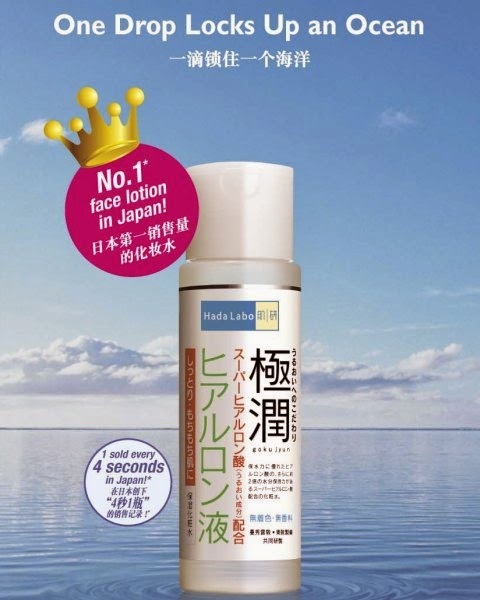 Just the Hada Labo Super Hyaluronic Acid Moisturizing UV Milk SPF50+ PA+++ 38ml alone is RM49.90. 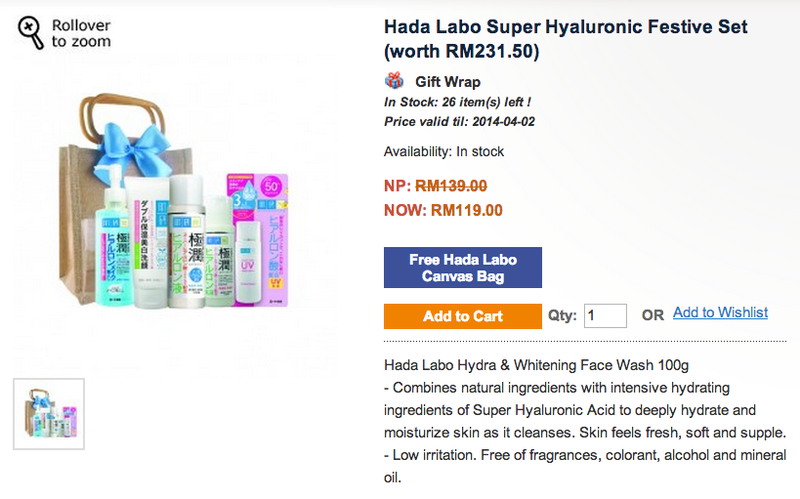 Let's not forget that Hada Labo Super Hyaluronic Makeup Remover 200ml at RM45.90 and the best seller Hada Labo Super Hyaluronic Acid Moisturising Lotion 170ml RM49.90. Definitely worth buying plus the shipping fee is RM7 only to West Malaysia. It's free shipping if you purchase RM200 over. Visit https://online.guardian.com.my to get your Hada Labo Super Hyaluronic Festive Set before its sold out! There's a limited quantity left. I have their Hada Labo Super Hyaluronic Makeup Remover and Hada Labo Super Hyaluronic Acid Moisturising Lotion. What can i say.. the lotion is just damn "powderful!" lol! Can't explain how much I love it! A good product at a cheap price! !